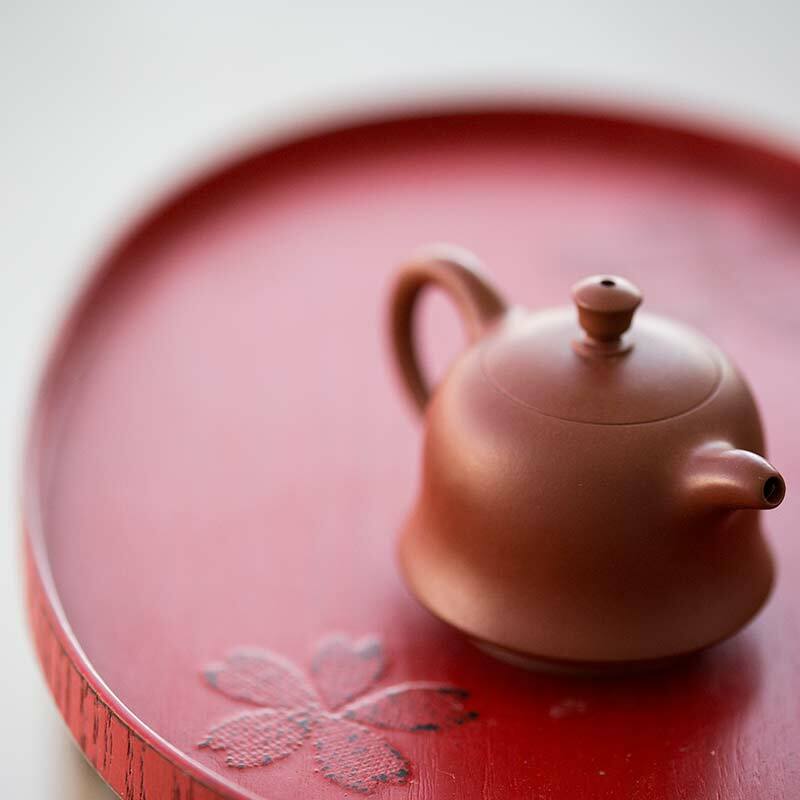 These teapots are made from Chaozhou aged Da Hong Pao red clay. While this clay shares its name with the popular tea varietal, that’s the extent of their relationship. 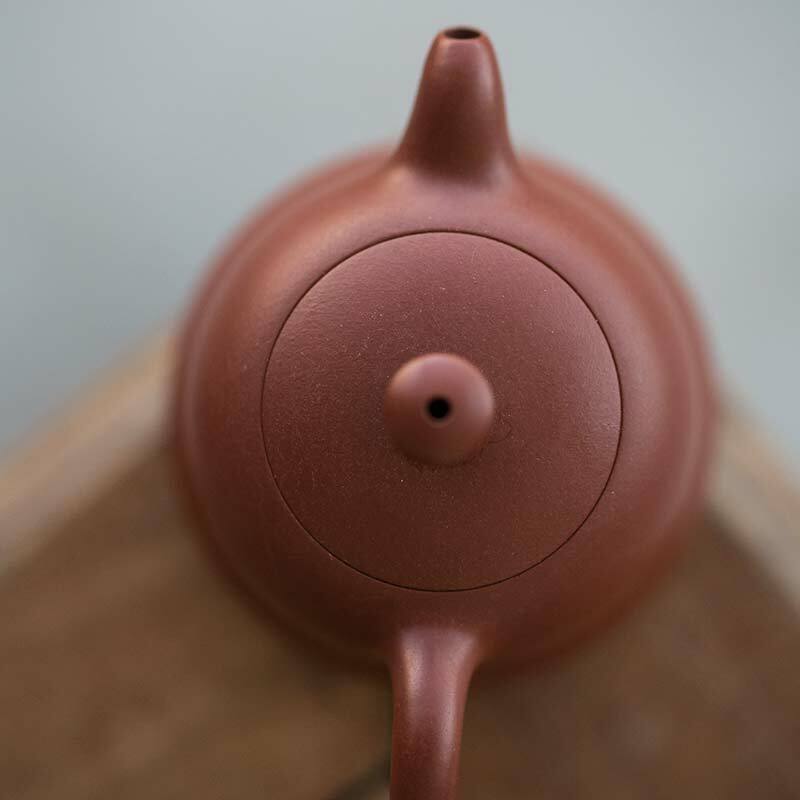 Da Hong Pao clay main difference is a deeper, darker red than our other Chaozhou zhuni teapots. 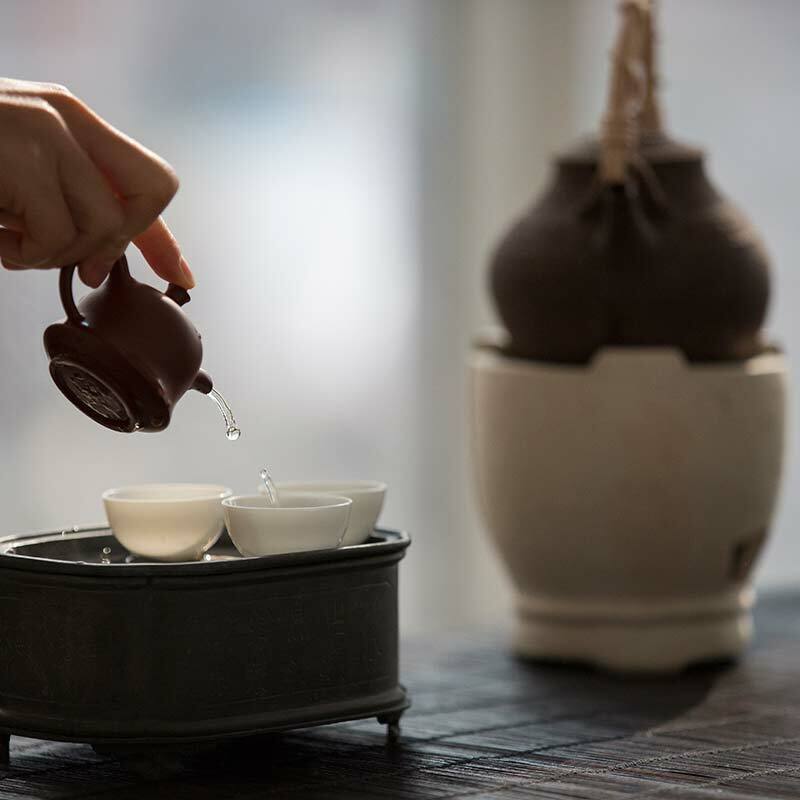 This clay is denser and less porous than typical Chaozhou Zhuni, but will still similarly absorb the flavour and character of the tea you use it for, improving with continued use. 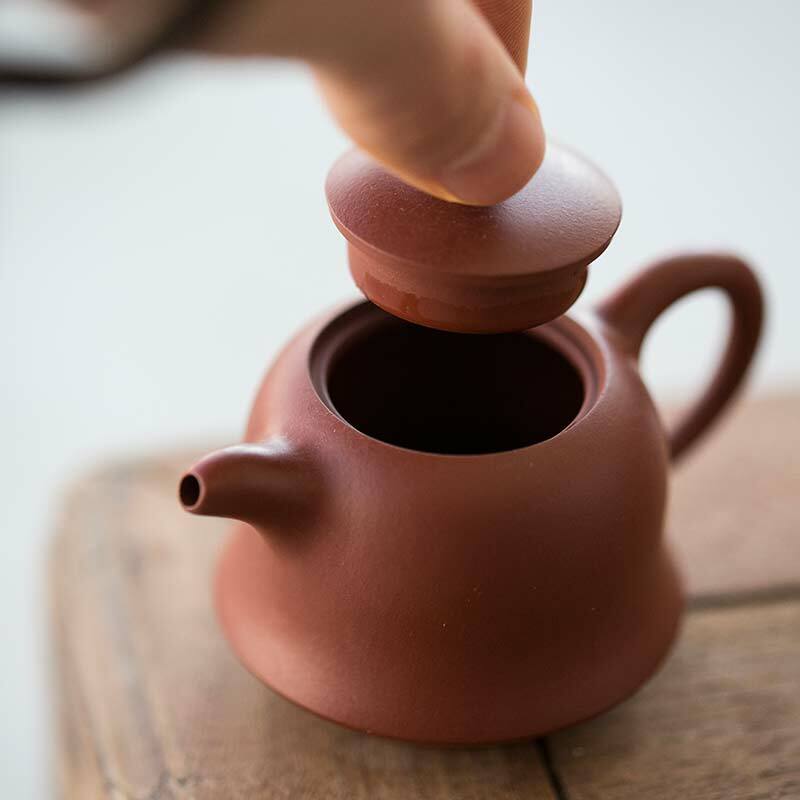 This clay also experiences less shrinkage during firing than Yixing zisha, and consequently Jianshui zitao, which endures the highest shrinkage of the aforementioned clays. 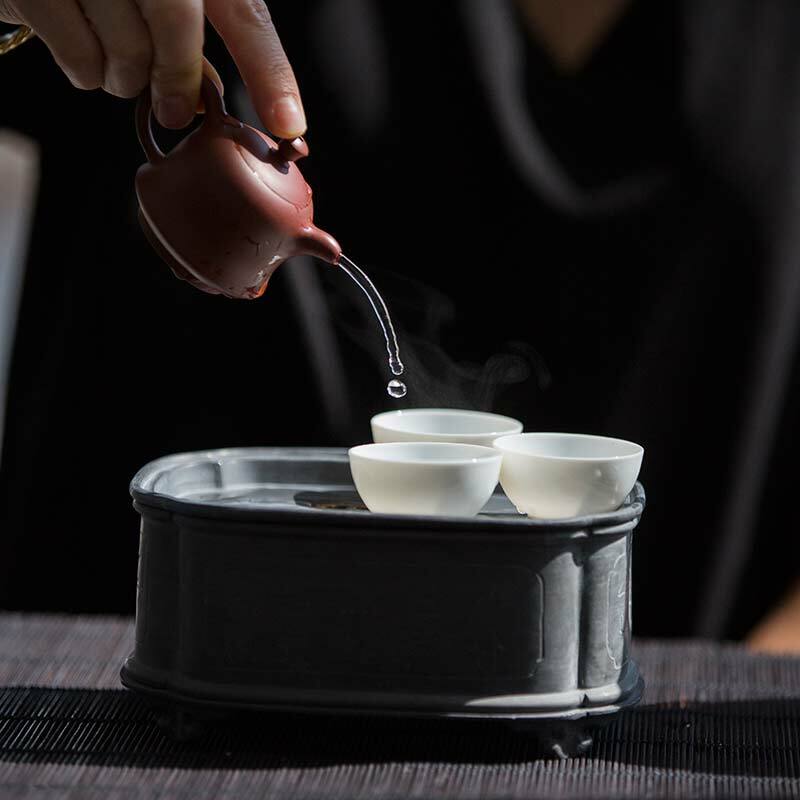 This results in well-made Chaozhou pots often having extremely tight-fitting lids. 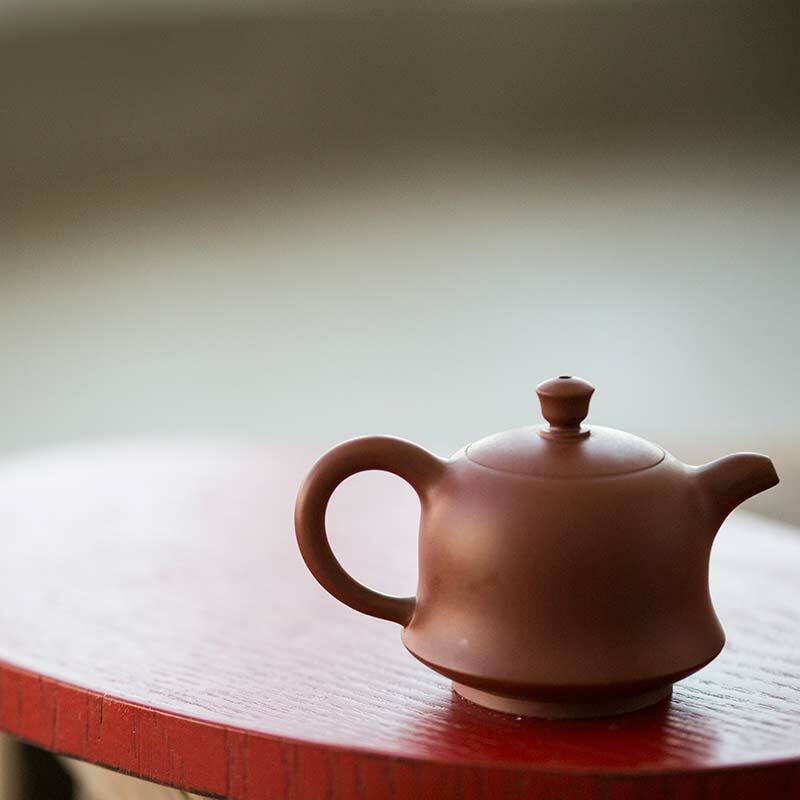 This particular teapot holds approximately 60ml (+/-5ml) and features a stout, bell-like han zhong shape. 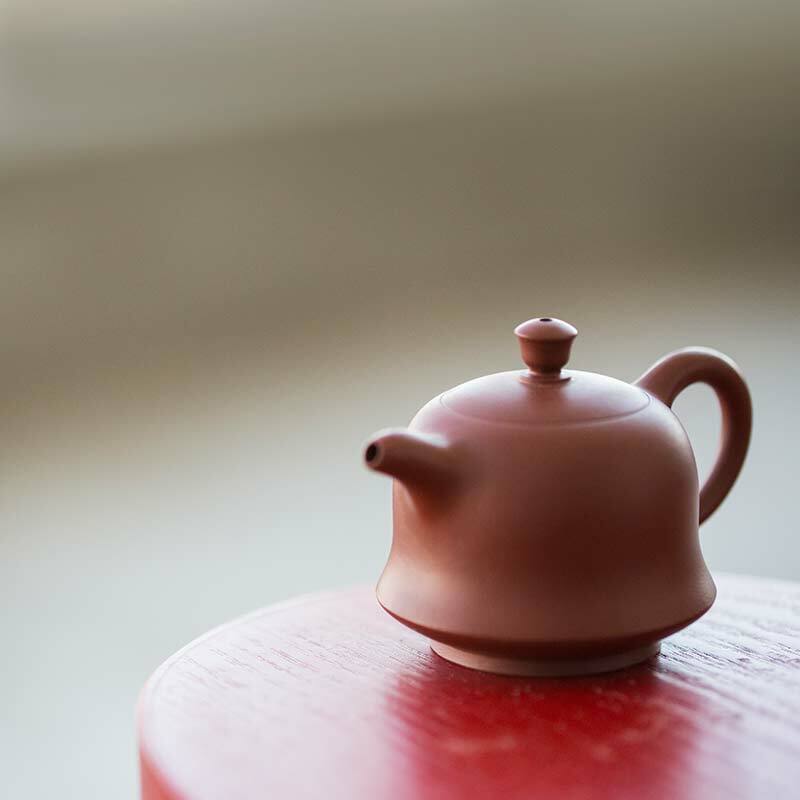 This teapot pours empty in approximately 8-9 seconds. 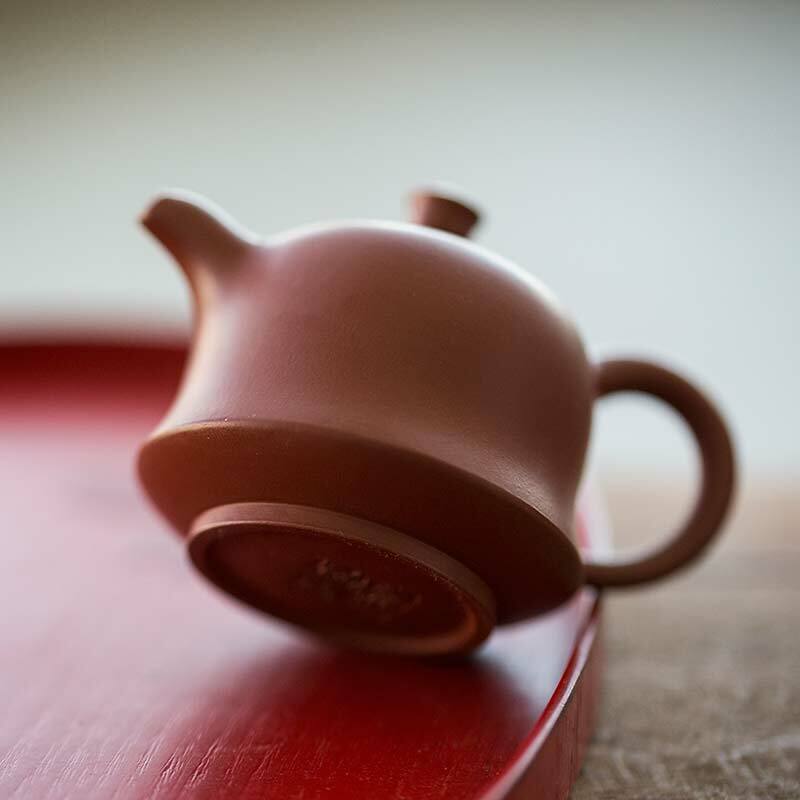 These teapots come from a small studio in Chaozhou and include a certificate of completion by the artist, who previously spent much of his formative years honing his craft in Yixing. 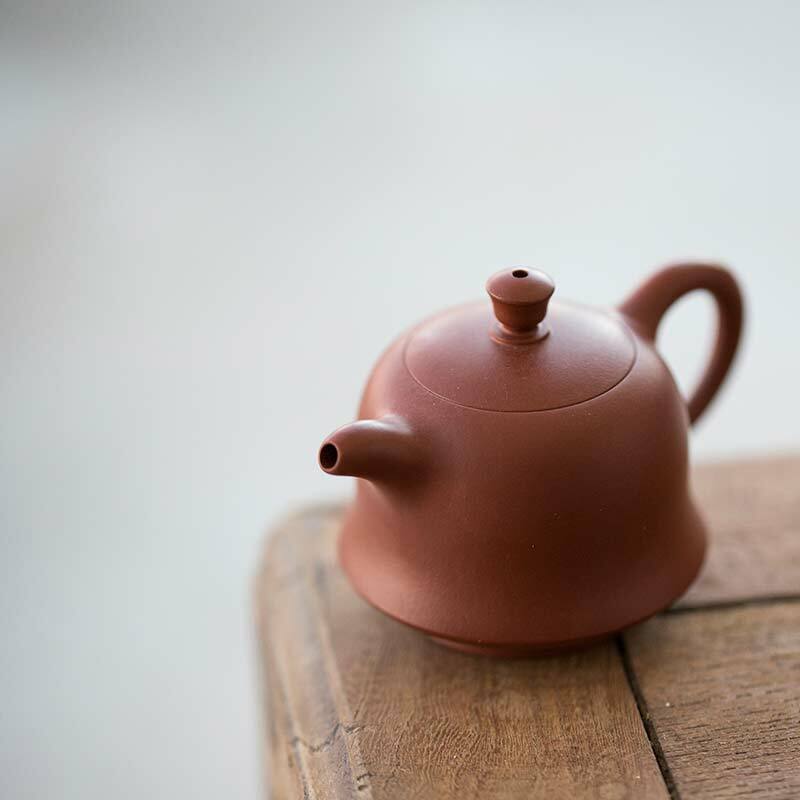 As these are unglazed pieces, we recommend dedicating your teapot to one type of tea and avoiding the use of soap or detergents. 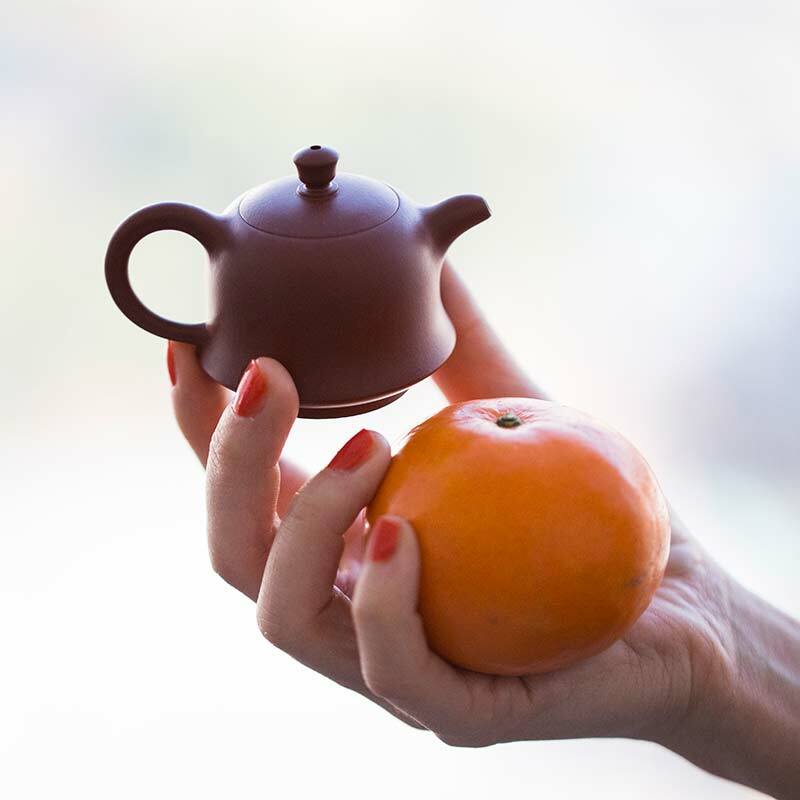 You may wish to season your teapot before using it. We advise doing so with caution, and to refrain from leaving the teapot in boiling water. 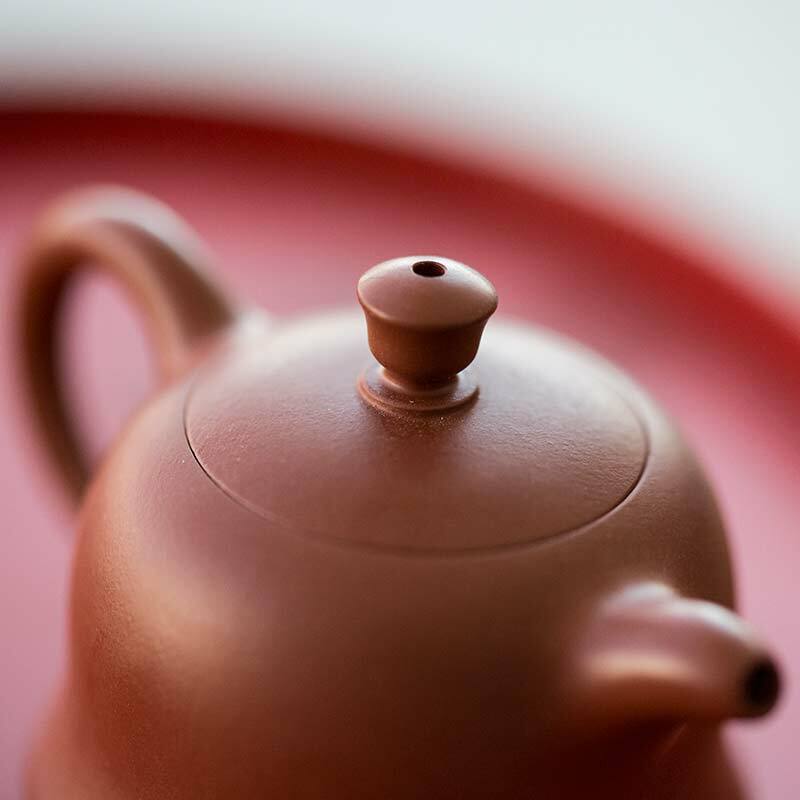 If you wish to season it, allow the pot to rest in freshly boiled water for around 30 minutes. Remove the pot, rinse and dry. Change the water and bring it to a boil again, this time with some tea that you plan to use the pot for. After this water has come to a boil, let the pot rest in it for another 30 minutes or so, rinse and dry. Repeat as desired.